My father had just turned fifty in December in 1941. He had wanted company to celebrate New Year's Eve with, but instead had found himself alone and bereft of friendship at all. He carefully considered his state of affairs. He observed about himself that he had been focused for a great deal of time during his life on what other people had thought of him. He considered what he was going to do about this, because it made him unhappy not to have the pleasures of lasting personal connections. Perhaps the answer might be to offer to others what he so desired for himself. There were many people he knew who were amazing people. They had amazing qualities that came to them as naturally as breathing. So he decided to show people how much he thought of who they were, what their special innate qualities were and to express what all of these meant to him. He settled in San Diego where he met my mother, a woman 25 years younger and married her, starting a new family and a new life. As his youngest daughter, I got to see firsthand how he expressed his resolve to bring out people's better qualities many decades later. I was there when he brought a woman to our house so he could show her an antique painting that he'd collected. When she entered the house, it was obvious that she was a self-conscious person who was shy about even shaking hands to greet our family. She had tried to make herself look more presentable. Evidently she was not comfortable with the the fact that she did not match the current social opinions of what was considered "attractive." My father ushered her up to where the painting had been hung. From a fascination with lighting and also to protect the pigments, he had located the painting in a very dark room with its own light. The woman took off her sunglasses. My dad pontificated a bit about the painting while he pretended to fumble for the light. "We have reason to believe that this painting was the last of this style for this artist of that era. Some believe it was his 'masterpiece.' The title inscribed on the back was 'Love's Folly.'" He clicked the light on that illuminated the painting and stood back. 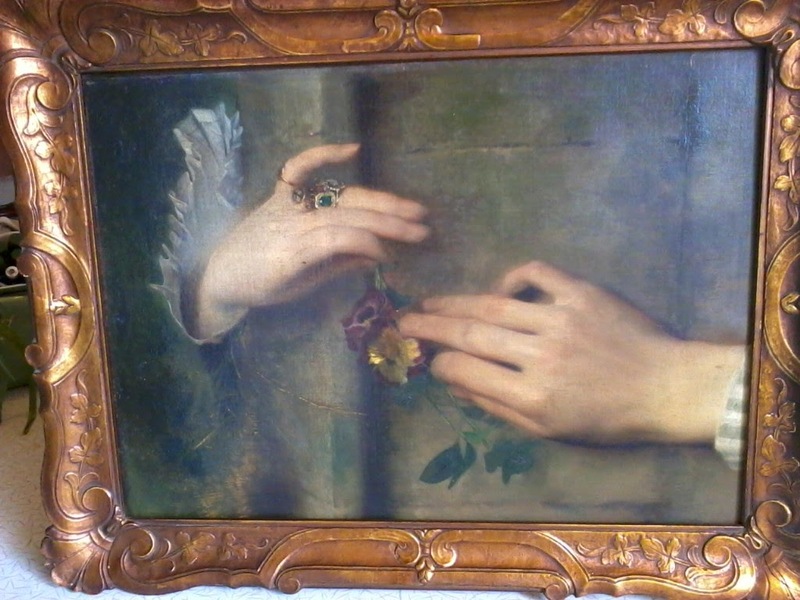 The painting depicted two hands; a man's hand reaching over the wall to hand a flower to a woman's hand which included many rings. My dad backed off to admire the painting, and took his visitor's hand in his to invite her to walk closer to examine it. "This artist, in the masterpiece of his career, chose a woman's hand that looks remarkably just like your hand for the subject to depict the most stunning, irresistibly beautiful shape for hands that he could imagine." My father held her hand up next to the hand in the very realistic painting. She couldn't deny her hands could have been the artist's model. The woman sputtered. 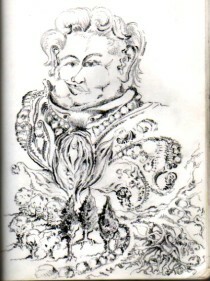 She was used to compliments from others that she could turn aside as untrue, because she was certain of her "ugliness." But this compliment stared her in the face in a way that made brushing it off impossible. After being admonished with a comment from my mother of "Oh, he just does these things to people," the woman decided that it was an entirely admissible possibility to accept such a compliment from a happily married man. She managed to finally be able to leak out a meek, "Thank you." She had a much different smile on her face on her way out the door than when she arrived.